The Best Western Winscott Inn & Suites, your home away from home, offers you a relaxing escape from the hustle and bustle of big city life. 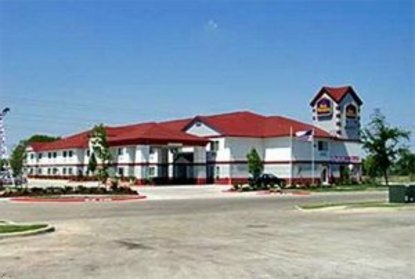 Located just outside of Fort Worth, the Best Western Winscott Inn & Suites brings you the newest hotel in the area. Start your day with a complimentary deluxe continental breakfast then head out to adventure many day trips. We are five miles from Benbrook Lake, offering fishing, swimming and rafting or take in the Fort Worth Zoo. If shopping is your bag, Hullen Mall is just five miles away. Spend your day visiting the many antique stores in Granbury, located just 25 miles from the Best Western Winscott Inn & Suites. After your day of adventure, come back and relax and let our attentive staff take care of your needs. The Best Western Winscott Inn & Suites is your home away from home, offering you the best in Texas hospitality.